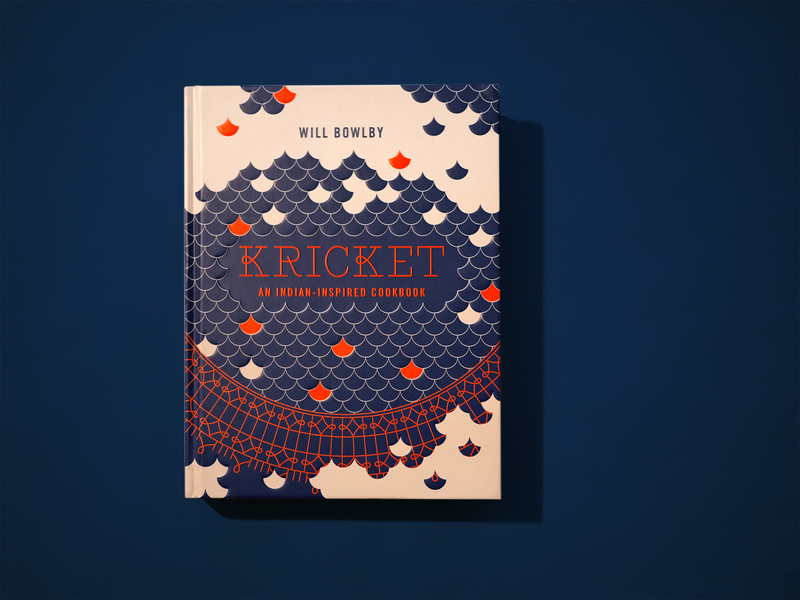 The day has finally arrived and Will Bowlby of Kricket’s first cookbook has hit the stands, featuring 80 Indian-inspired recipes, drawn from his work and travels all over India from Goa to Bombay and beyond. 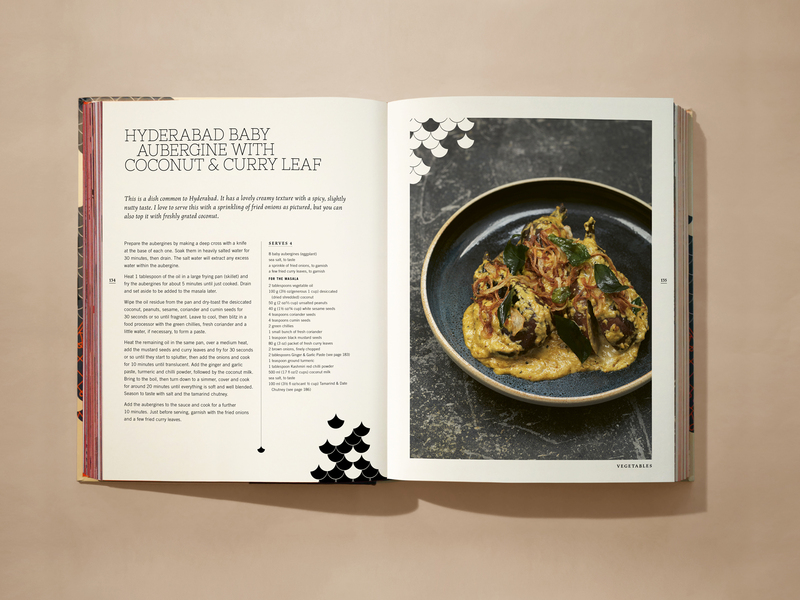 Will is an award-winning chef, recognised for his re-invention of this much-loved cuisine, adding essential Indian spicing to seasonal British ingredients, producing entirely unique and show-stopping street-food dishes, that are perfect for sharing and make classic Indian flavours even more accessible. 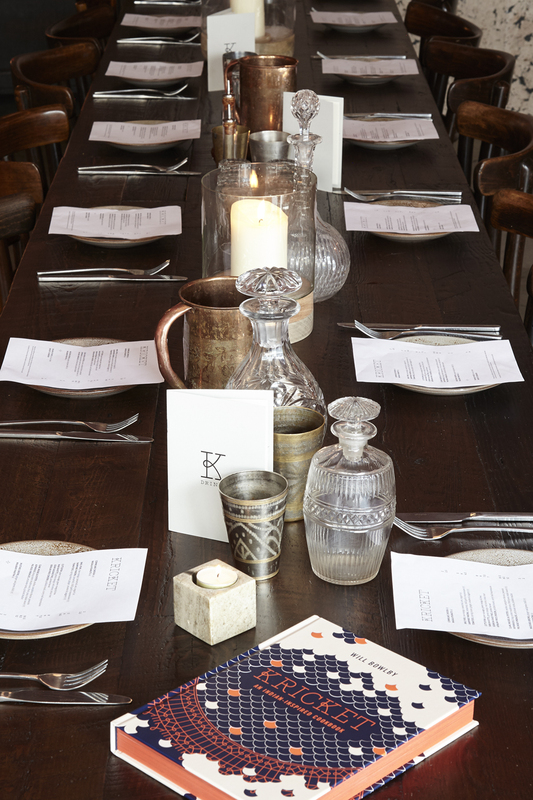 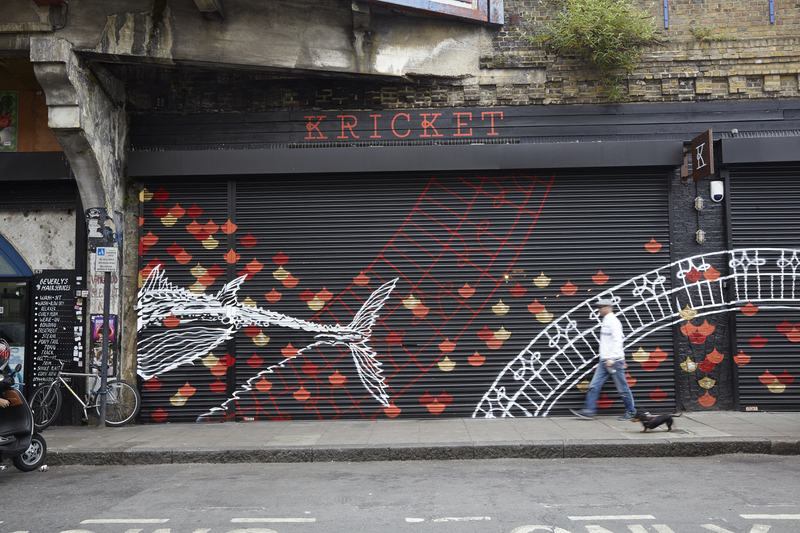 We have been working with Will and his Kricket co-founder Rik Campbell, for a few years, designing their much loved first bricks and mortar restaurant in Soho, and then more recently fashioning their homecoming Brixton site and their larger, upcoming restaurant in the newly developed BBC Television Centre. 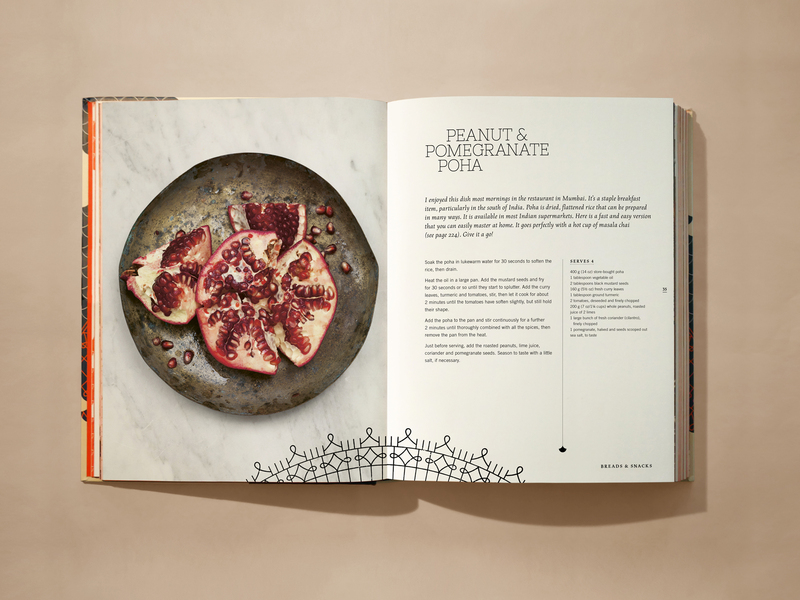 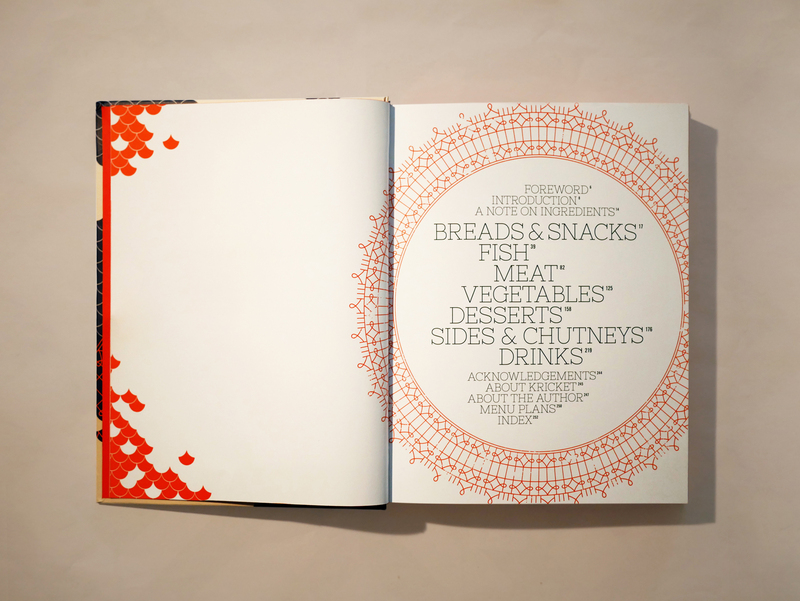 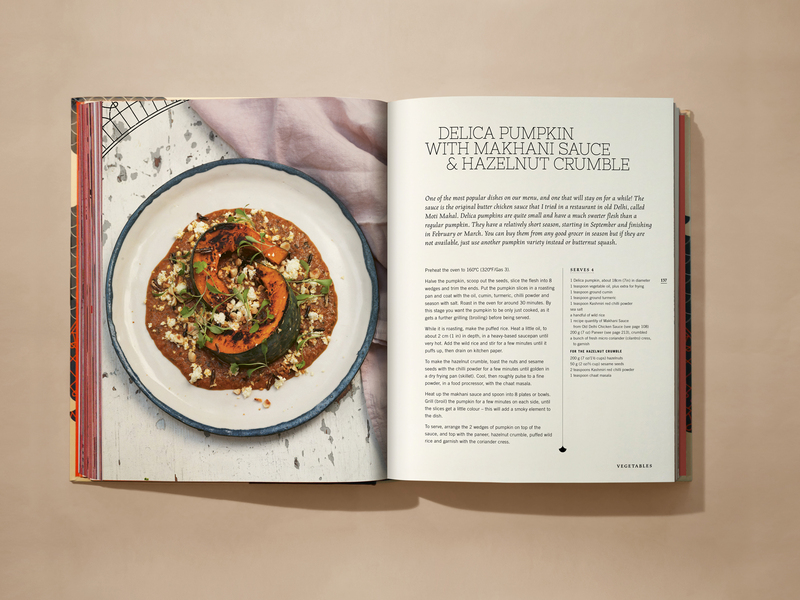 And we were absolutely delighted to design Will’s cookbook, a lovely change of tack into editorial book design. 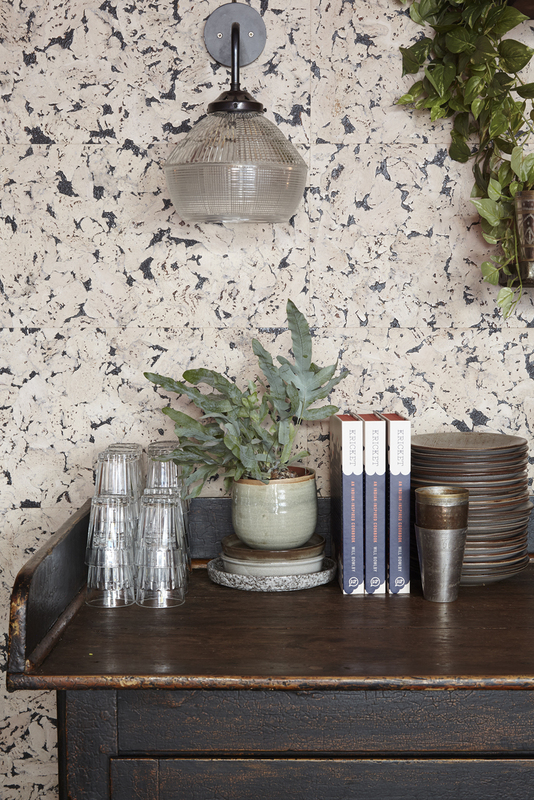 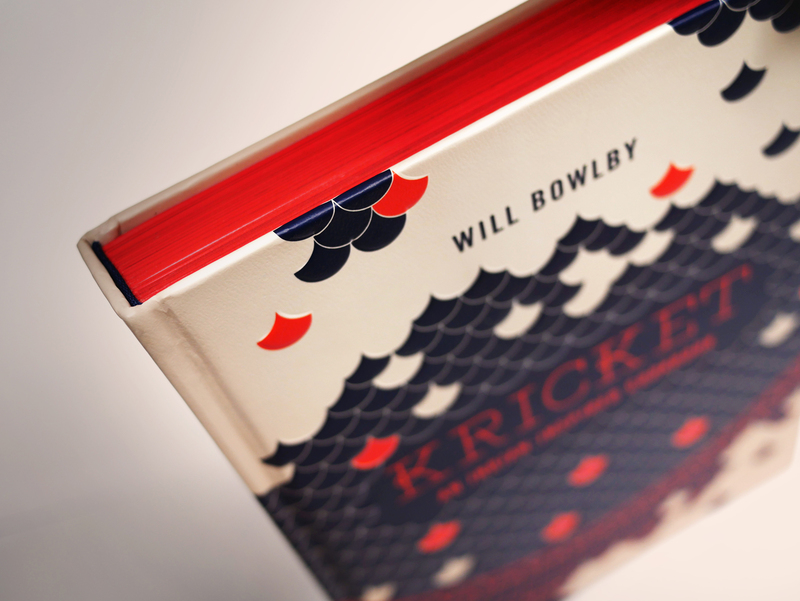 Will wanted the book to feel part of the Kricket family but to also stand up in its own right, and we wanted it to be stylish and cool and to really pop on the shelf. 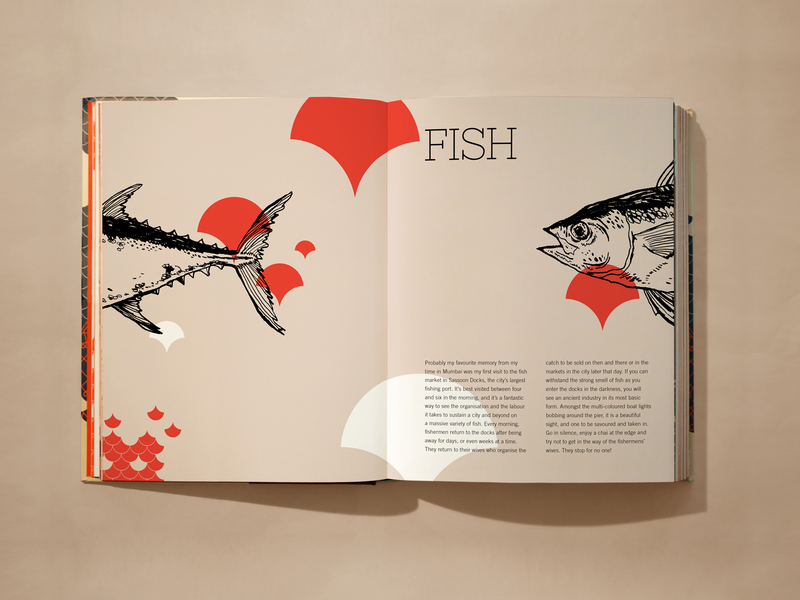 So for the cook book’s graphic look and feel, we took inspiration from our design of the restaurants, morphing in the fish scale tiles that are a signature feature in the cocktail den basement of Kricket Soho. 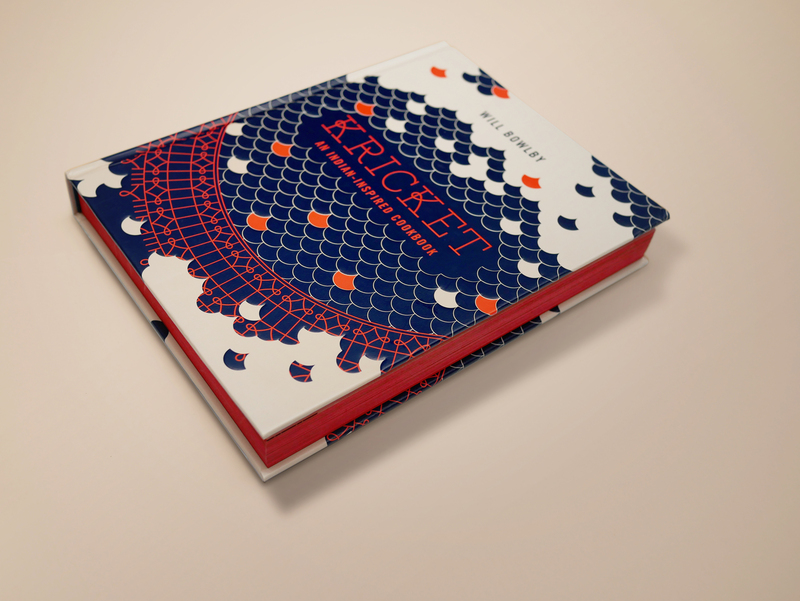 We then created a beautiful new mandala made up of Kricket’s ‘K’ logo in a repeating pattern, and both of these devices run throughout the book, framing Hugh Johnson’s wonderful photography. 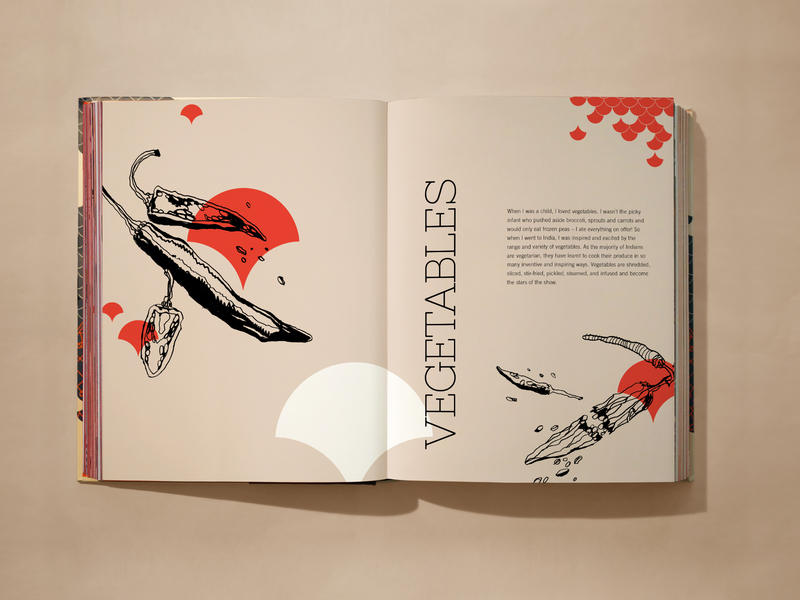 We also created a range of brand new quirky illustrations which bring to life the intro spreads for each chapter. 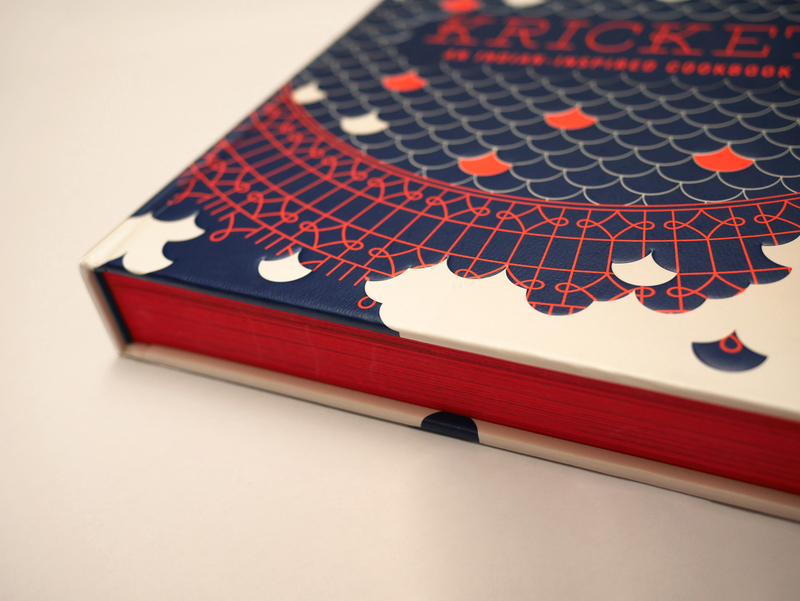 We used a colour palette of blush, inky blue and Kricket’s awesome orange-red brand colour to keep the book feeling young, fresh and edgy, using playful, urban typography and opting for a bold, colour-pop seam.